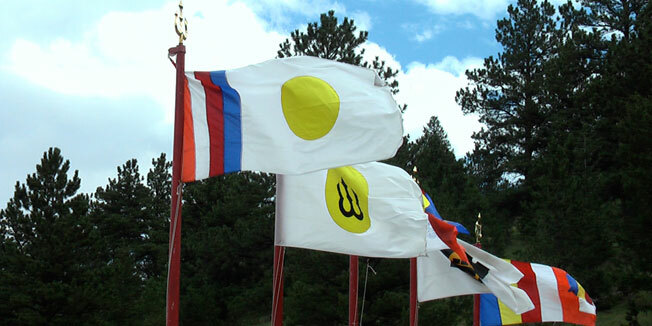 SAKYONG MIPHAM is the head of the Shambhala lineage, which is grounded in the power of creating enlightened society in everyday life. 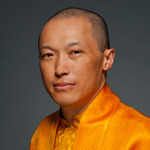 With a unique blend of Eastern and Western perspectives, he teaches this way of social transformation throughout the world. In addition, he extends his vision to a number of humanitarian projects in Asia and the West. He is the author of the bestselling titles Running with the Mind of Meditation, Ruling Your World, and Turning the Mind into an Ally. 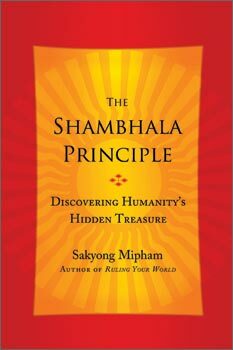 The Shambhala Principle, Discovering Humanity’s Hidden Treasure, the most recent book by Shambhala lineage holder Sakyong Mipham Rinpoche, is published in English by Harmony Books, is in bookstores and can be ordered online. Translations of the book into a range of world languages are underway. We humans have come to a crossroads in our history: we can either destroy the world or create a good future. Even climatically, the balance is shifting to dramatically change the face of the earth. Our ecosystem is in a precarious and fragile state, and our future depends on our actions as a species. At this time, many of us feel overwhelmed by the day-to-day. We don’t have the time or energy to contemplate personal or social principles, and we may feel helpless in terms of shifting the future. How we move forward cannot depend on one spiritual tradition, economy, or political system, but rather should depend on who we feel we are, both personally and socially. What is the nature of humans and our society? In this light, human nature is the most important global issue.